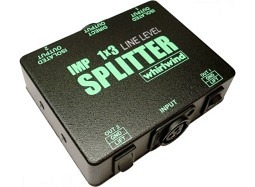 The SP1X3LL provides one direct and two transformer isolated outputs from a line level input. The signal level at each transformer isolated output is 6 dB lower than the level of the direct output. The transformer outputs have individual ground lift switches.